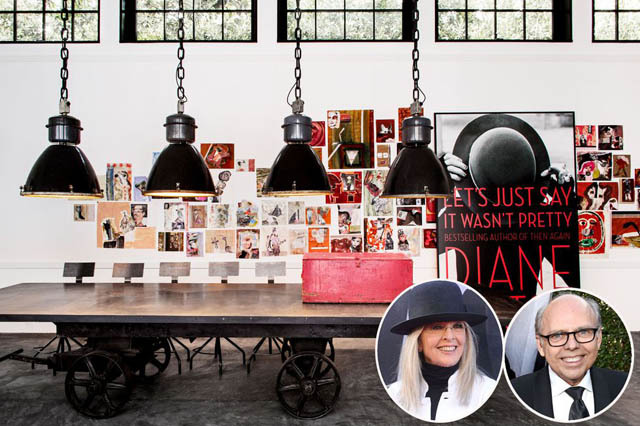 These high-end clientele and their style gurus together curate spectacular interiors. 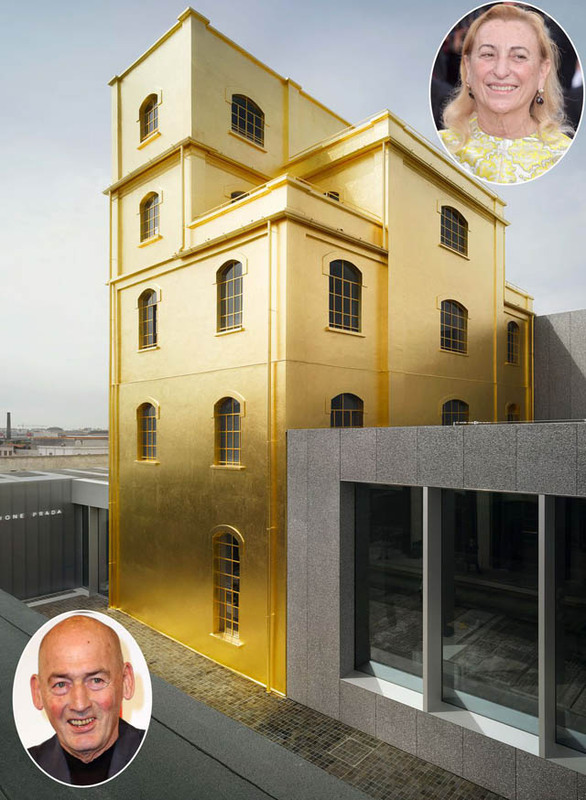 Our 25 design power duos are co-conspirators in homes and palaces of vast scale and grandeur–some top secret, others public monuments to art and retail. All are masterpieces that raise the bar for everybody else. 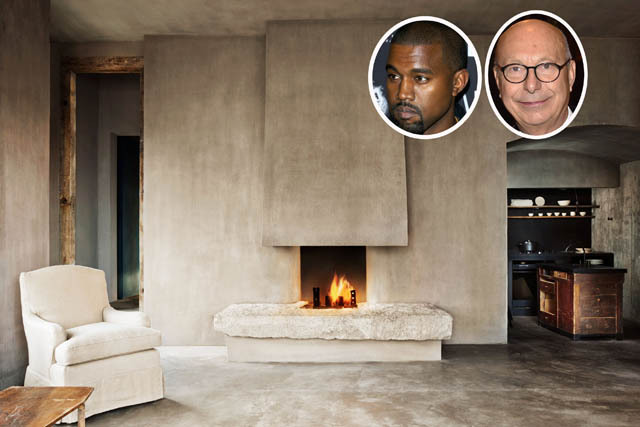 Probably for the first time, a high-end interior designer made it onto TMZ, as the hip-hop superstar hired Belgian designer Vervoordt in January to “perfect his crib’s look” in Los Angeles. 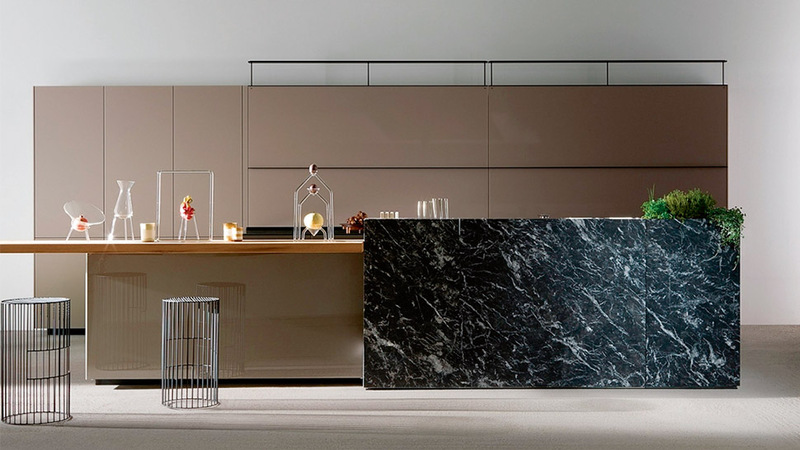 Vervoordt will likely do so with Yeezy-friendly tasteful minimalism, much as he has done for clients Bill Gates, Sting, and Calvin Klein. This home shows Vervoordt’s admiration of wabi, a Japanese aesthetic concept that exalts simplicity. The actress tapped Robin Standefer and Stephen Alesch, the couple behind New York’s Le Coucou, last fall for Goop Lab in Brentwood, her first permanent store (above). In December, Roman and Williams (named for their grandfathers) opened the Guild, a showroom and café in Soho. What happens when a college dropout (Ford) and a Princetonian (Sofield) get together? Trouble, in a word. 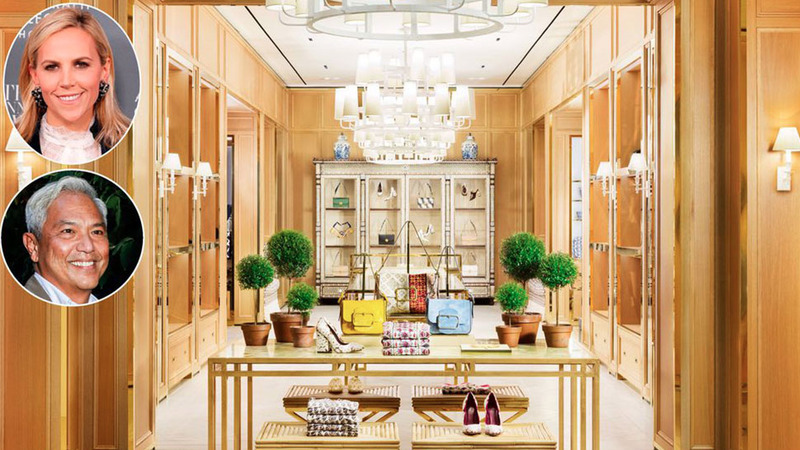 Inseparable for 25 years, these two know the secret sauce to retail, and it’s hard to leave their stores on Madison Avenue or Rodeo Drive (above) without upsetting your accountant. In the ’90s, movie executive Hughes used to give the actress friendly decorating tips. In 2002, after Parker asked him to design her Bridgehampton home (above), his design career took off and he left the biz. Now he’s working with architect Morris Adjmi to combine Parker’s two West Village townhouses. The antiques dealer became a London sensation when Victoria and David selected her to take over from another designer in decorating their $44 million Holland Park palace. Herringston House in Dorset: an inspiration for Pentreath’s classic approach to British decor. Uniacke excels in modernizing historical settings, as in this London living room. 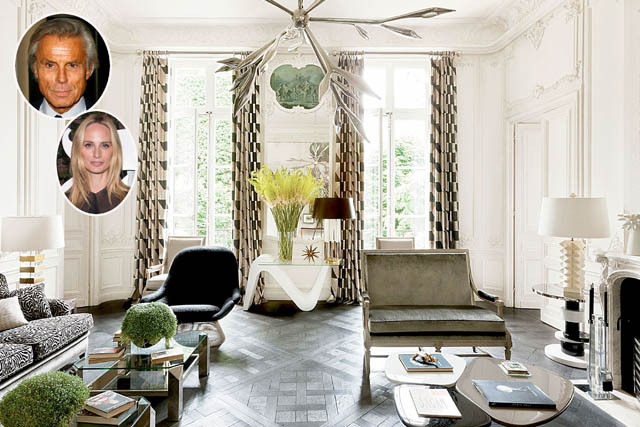 The Moda Operandi co-founder became the latest Santo Domingo to enlist the French octogenarian (who first worked with the family in the early ’90s) when she brought him on to do her 18th-century Paris apartment. 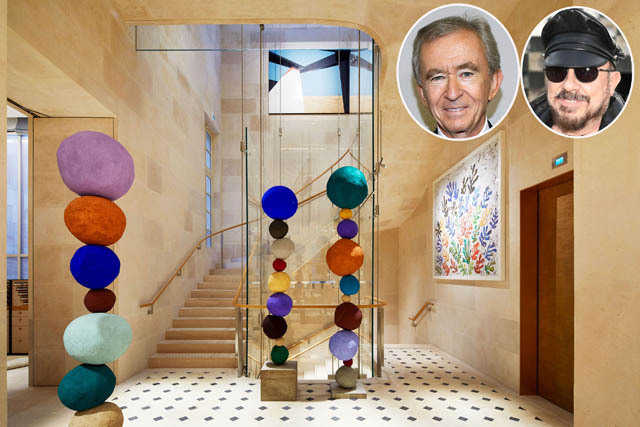 LVMH mogul Arnault can call the Queens-born Marino the man who built Louis Vuitton, having tapped him to design the brand’s behemoth stores. 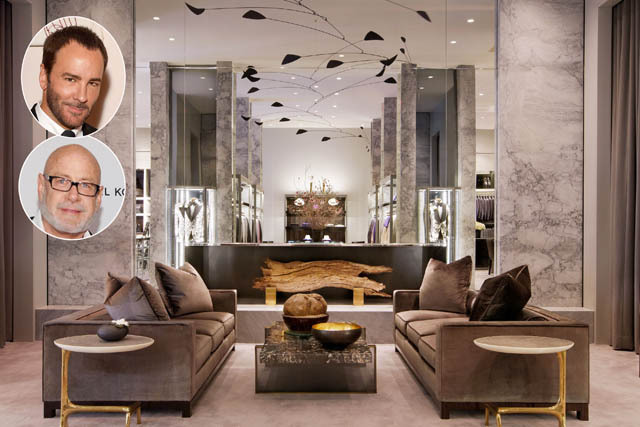 The Louis Vuitton Place Vendôme flagship opened last year after a four-year renovation. 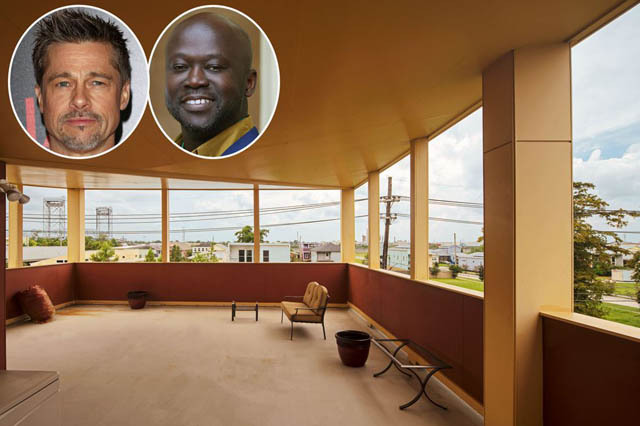 After Hurricane Katrina, Pitt recruited starchitects like Adjaye to build sustainable housing in New Orleans (shown). The actor’s Make It Right Foundation has since built more than 100 homes in the Lower 9th Ward. Adjaye went on to acclaim with the National Museum of African American History and Culture. Ever since he got to Calvin Klein, Simons has relied on his longtime friend, the L.A. artist Sterling Ruby, to inject the label’s shows, headquarters, and flagship store with a rambunctious energy—and hard-to-miss colors. 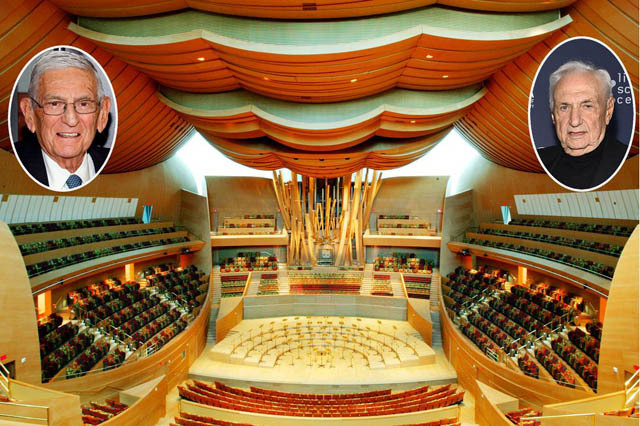 The powerful collectors have ties to every major architect, but they’ve gone with Pritzker Prize winner Gehry twice, for their Brentwood manor (which featured Gehry flourishes, although he never finished it) and later the Los Angeles Philharmonic’s Walt Disney Concert Hall (shown). 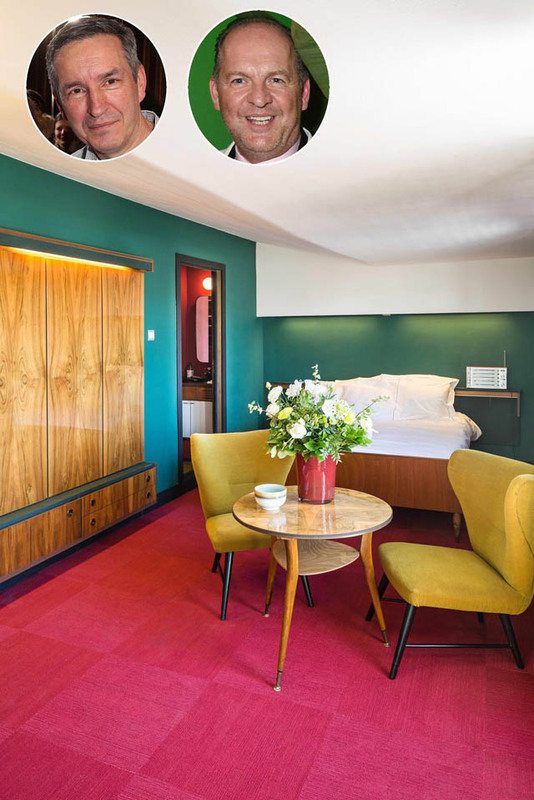 French luxury boss Pinault entrusted the Parisian designer with not only the Hôtel de Clermont-Tonnerre—the jewel where his Artémis conglomerate is headquartered—but his personal office. Last fall Yovanovitch curated a furniture collection called Oops. 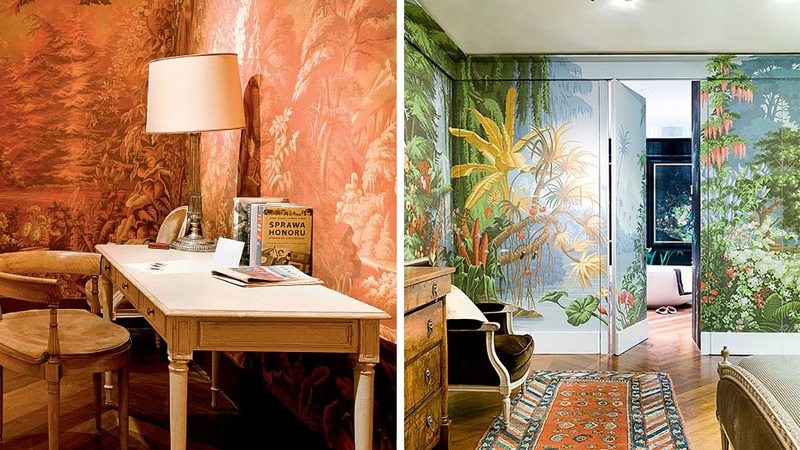 Yovanovitch seamlessly deploys vintage touches in contemporary settings, as at his first hotel, the Marignan in Paris. 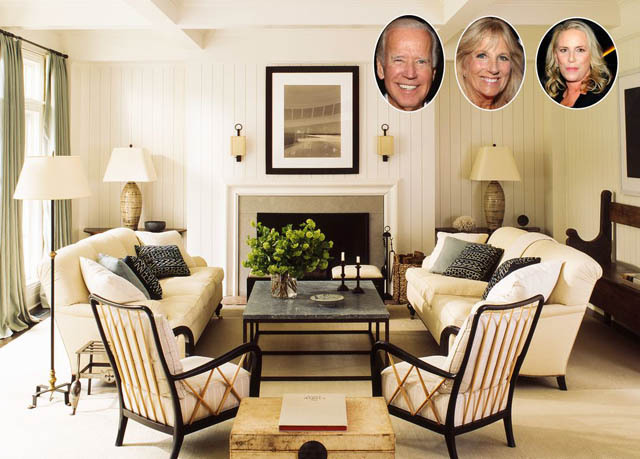 Often described as “the queen of restrained elegance,” Hagan is a master of clean, timeless interiors (like this one in East Hampton), which was precisely the aesthetic the former vice president and his wife Jill wanted for their official private residence while he was in office. 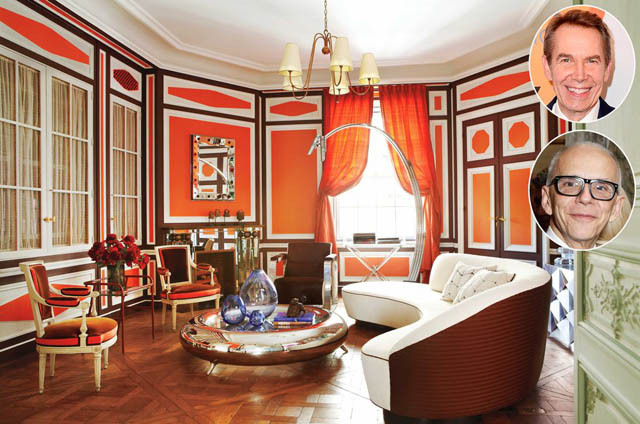 The designer is known for classic French-inspired exuberance, so naturally he meshes well with an artist known for grandeur. 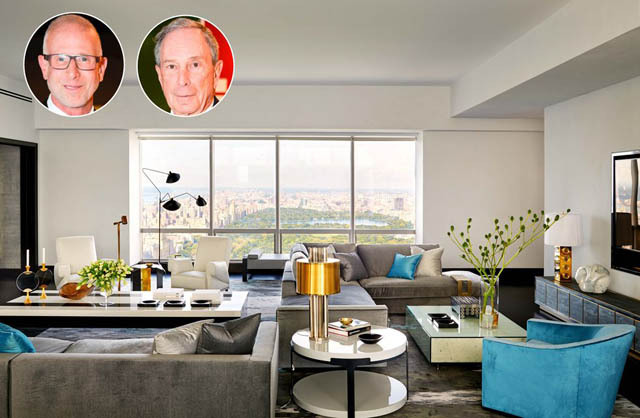 Couturier is among the designers Koons is currently working with to combine the two Upper East Side townhouses he paid $32 million for a decade ago. A little Louis XVI flair for this Manhattan apartment by Couturier. 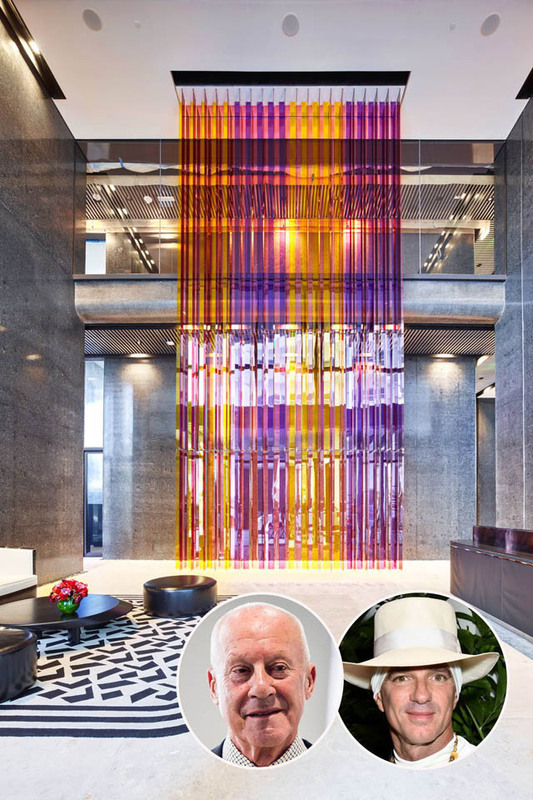 Schrager is something of a shadow architect himself, but his friendship with Pawson extends over two decades, from the apartments at the Gramercy Park Hotel to Schrager’s penthouse at 40 Bond (shown). They’re now working on the West Hollywood Edition hotel, opening this year. Betsy Bloomingdale to his Billy Haines, Burch first met Romualdez in the late ’90s, then hired him to work on her apartment at the Pierre. 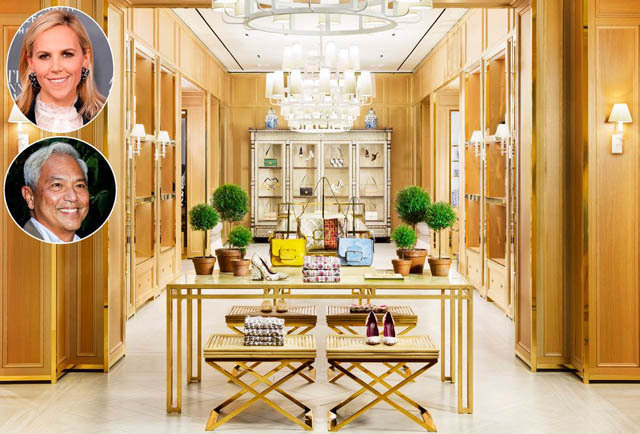 Her homes and offices in Manhattan and the Hamptons followed, plus over 100 stores, including this glittering Long Island location. Yves Saint Laurent had Jacques Grange; these young New Yorkers have each other. 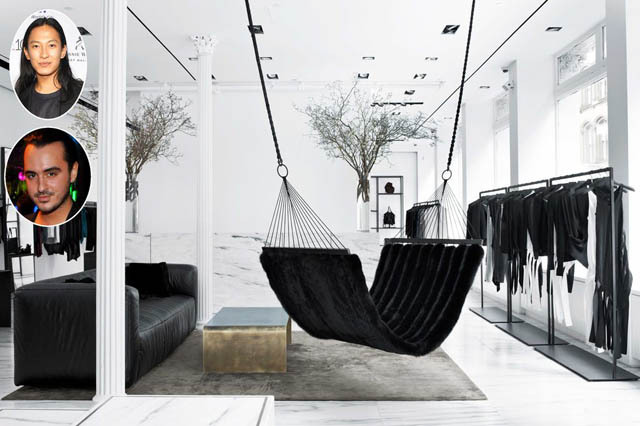 The close pals are just as likely to collaborate on a new store (including Wang’s flagship, shown) as on a bachelor pad or a scandalous night out. Subtlety is not Fulk’s forte, but that’s why he’s the man Silicon Valley trusts with its palaces. 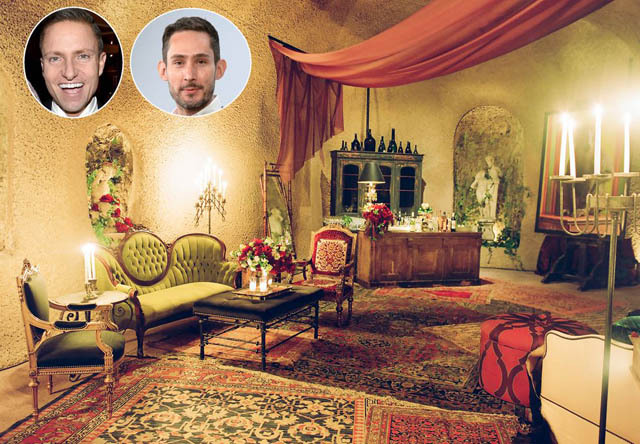 For Instagram’s Systrom he didn’t just design his home but also his wedding to Nicole Schuetz, which brought the spirit of New Orleans to Napa Valley. Known for his crisp and colorful rooms, Drake has done up the former mayor’s townhouse on the Upper East Side and Ballyshear, his $20 million Georgian estate in Southampton. Plus, he restored Gracie Mansion while Bloomberg was in office. Here, a living room created by Drake centers on a granite table of his own design—and Central Park views. Michael S. Smith didn’t just decorate the Obamas’ private residence in the White House (shown), he “upheld the proud history of this building,” in the words of first lady and tastemaker Michelle. Smith also designed the 8,200-square-foot Kalorama home they bought after Barack left office. 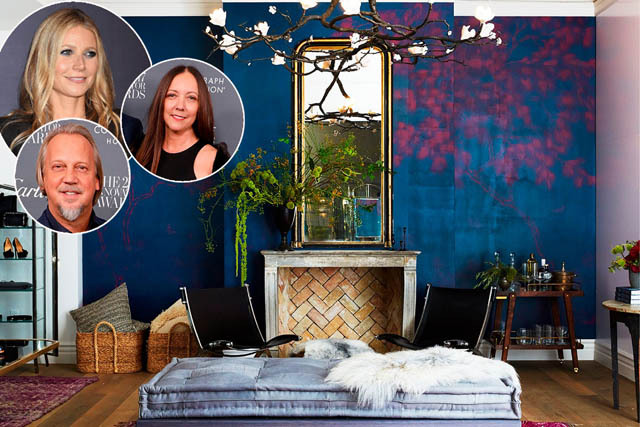 The bond between the decorator and the Oscar winner stretches back over 30 years and four homes. Keaton documented their creation of her 8,000-square-foot Brentwood compound in last year’s book The House that Pinterest Built. 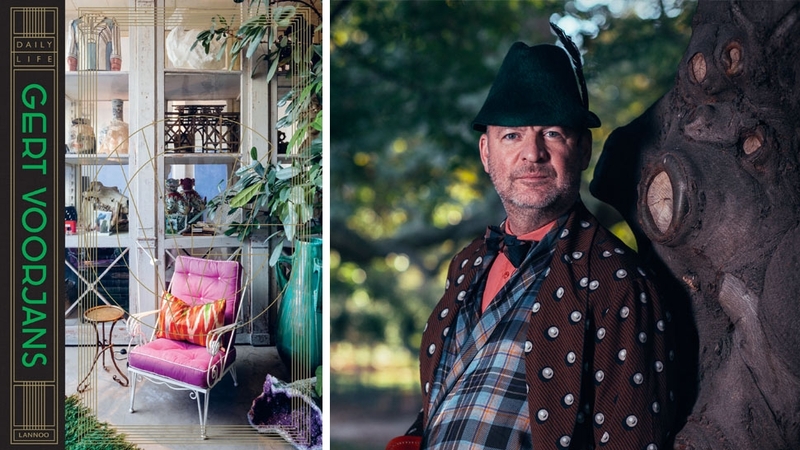 Friends for 15 years, they have worked on the fashion designer’s Belgian estate, Ringenhof (see the 2017 documentary Dries), which features exquisite gardens (a passion of van Noten’s) designed by landscape architect Erik Dhont. 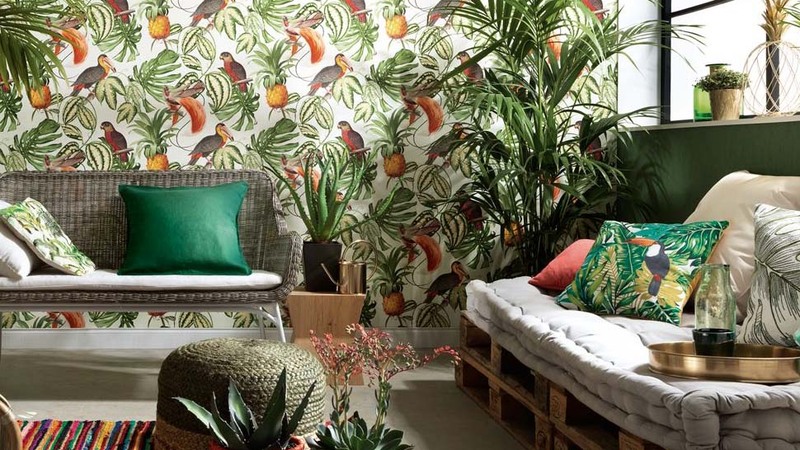 This year Voorjans also launched a vibrant fabric collection for Jim Thompson. Voorjans gave this historic Antwerp townhouse a face-lift for the store Enes. Few in fashion have Miuccia Prada’s eye for interior design—note her boutiques and epicenters—but her most enduring collaborator is architect Rem Koolhaas, whose firm OMA has helped stage her shows for 15 years and even designed a “frontpack” for her fall 2018 men’s show. The Fondazione Prada (shown) is getting a new nine-story tower for its permanent collection this spring. 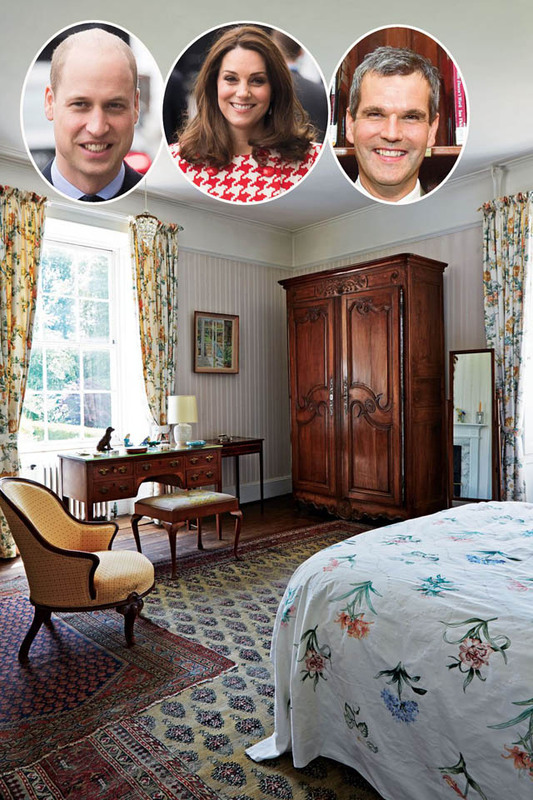 With three decor books to his name, including English Houses, Pentreath, a graduate of the Prince of Wales’s Institute of Architecture, was an inspired choice by the Duke and Duchess of Cambridge to renovate their Kensington Palace apartment. 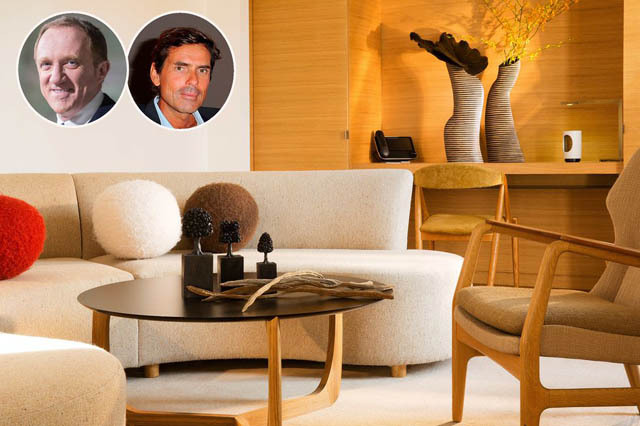 The Argentine Faena recruited a murderer’s row of starchitects for his Miami complex, but the palatial condominium tower fell to the Pritzker-winning Foster. Inside is the $55 million penthouse Citadel CEO Kenneth Griffin is selling. 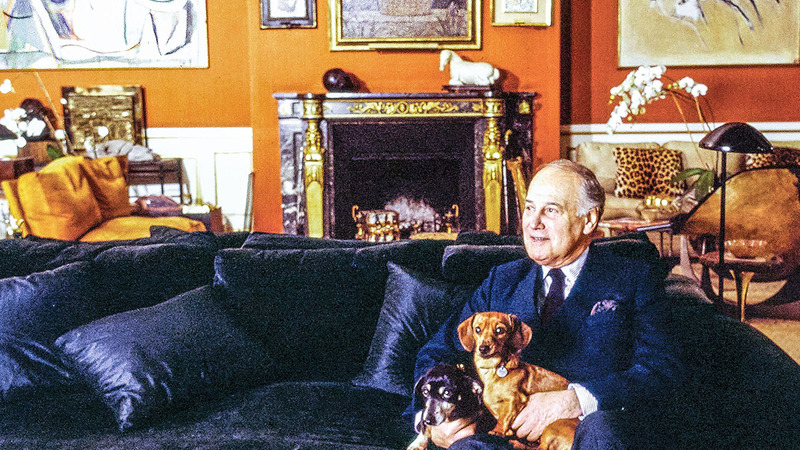 Many a grande dame has called on French legend Grange (Princess Caroline, Terry de Gunzburg, Paloma Picasso), and the beauty scion followed them (and her father Ronald, Grange’s first New York client) when she tapped him for her first Upper East Side apartment and her office. Grange is all about artful comfort, as at Palazzo Margherita, Francis Ford Coppola’s hotel in Italy. This story appears in the April 2018 issue of Town & Country.